Near the highest mountain in the world facing the sea. Surrounded by all kinds of animals, birds and beings lived. A multicultural universe, where the Kogi, Arhuaco, Wiwa Kankuamos and share their culture with visitors. Our accommodations are private double and shared rooms. We have all the services a traveler would expect, and more. Online reservations and bilingual staff at your disposal. The best way to reach Jasayma Tayrona is by taxi, or rent a car, yet it is the most expensive. The most common way is from the airport or from Santa Marta. This option is necessary to take a bus to hit the market in Santa Marta. On Calle 12 with Carrera 6. 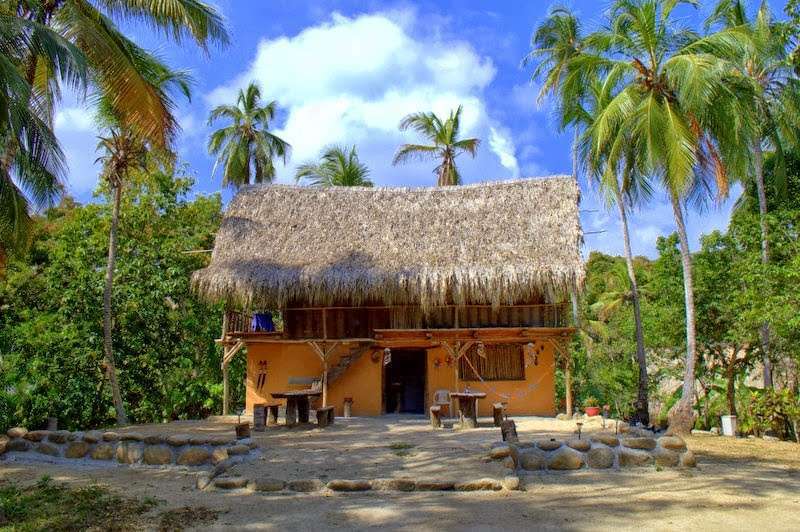 That request a shuttle to the Tayrona Park entrance "El Zaino". Then you can walk 1 kilometer, or take other trnasporte to the entrance of Jasayma, who will see to your left. We refund 90% of the total reservation if canceled before 2 days of arrival. We do not accept returns on cash. We recommend using all our electronic forms of payment and facilitate eventual returns. We hope that this will not happen, but if generated a controversy, we are always at your order.